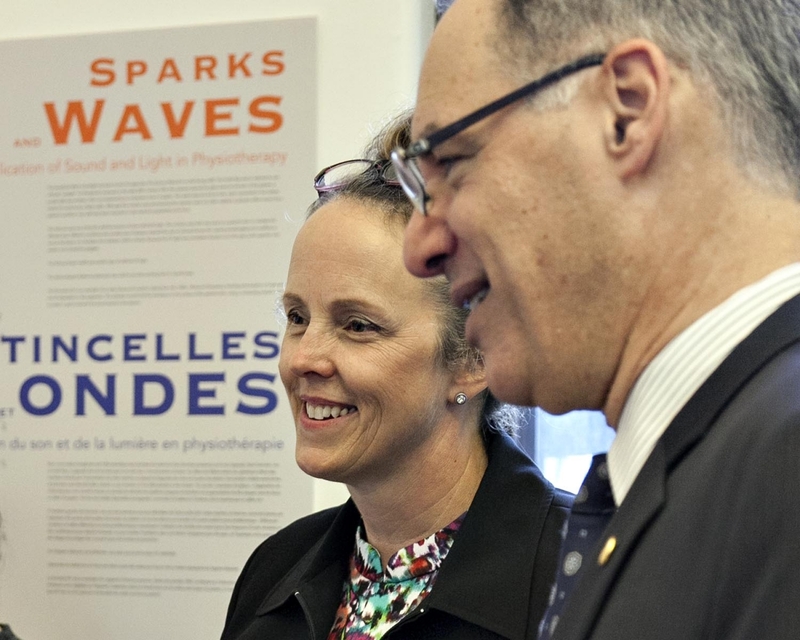 Canadian Physiotherapy Association (CPA) president-elect, Sarah Marshall, recently opened a new exhibit at McGill’s Maude Abbott Medical Museum. ‘Sparks and Waves: The use of electricity, light and sound in physiotherapy’ explores the history and evolution of these techniques in therapy. The exhibit displays machines housed in the McGill School of Physical and Occupational Therapy during the mid 20th century. The exhibit opened September 28th, and is a permanent exhibit at the Museum. The Maude Abbott Medical Museum is a repository of materials dating from the early 19th century and documents the study and practice of health care at McGill University and its associated teaching hospitals.